Here’s how to pack like our pros. In addition to these tips, make sure to check out our packing videos as well. Don’t feel like doing all the packing? We’d be happy to pack and/or unpack for you. Use small boxes for heavier items; larger boxes for light weight, bulky items. Stuff the top, bottom and sides of boxes with paper. This helps prevent shifting, rubbing and possible breakage. Stack boxes to the top to prevent them from being crushed. But don’t pack fragile items too tightly. Stuff with paper. Label the contents of every box and the room where it belongs. Group boxes together that belong in the same room. Label any boxes/items “STORAGE” that will be stored for you. Money, securities, valuable papers or jewelry. Keep them with you. Flammable items: aerosol cans, paints, gasoline, etc. Perishable times: frozen foods, produce, plants, etc. Kitchenware or other heavy items in boxes with dishware. Don’t place one layer of dishware directly on top of another; separate with a layer of stuffed paper. For a video description of these tips, check out this video about packing dishes. Place shoes in medium size boxes. Use paper to protect and keep pairs separated. Place non hanging clothes in medium size/linen size boxes. For a video description of these tips, check out this video about packing clothes. Place picture in box, then stuff front, back and along the top with paper. It is sometime possible to pack more than one picture in a box. 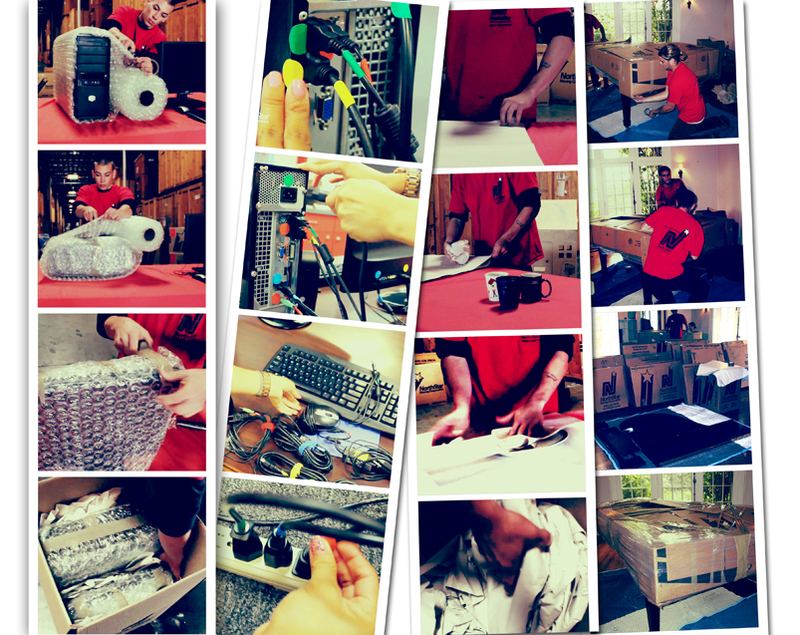 Packing of pictures is always required for long distance moves or moves into storage. On a local move there is no need to pack your large pictures. The movers will deal with them on the day of the move. For a video description of these tips, check out this video about packing pictures. If possible, pack in original cartons. If not, pack each item in ample amounts of bubble wrap and/or white paper. Color code wiring with color stickers and colored cord wraps for easy re-installation. For tips on packing a desktop computer, check out this video about packing your computer. Furniture made of pressed/engineered wood and/or particle board is not designed to be moved once it has been assembled. It therefore may not survive transport nor be repairable (since the glue and bracing hardware become compromised). NorthStar Moving Company may deny any claim associated with this type of furniture. You can always disassemble such furniture yourself prior to the move; we will then safely move the parts to your destination location where you can reassemble them. Have more questions? We’re happy to help.